We give you the gift of convenient power! 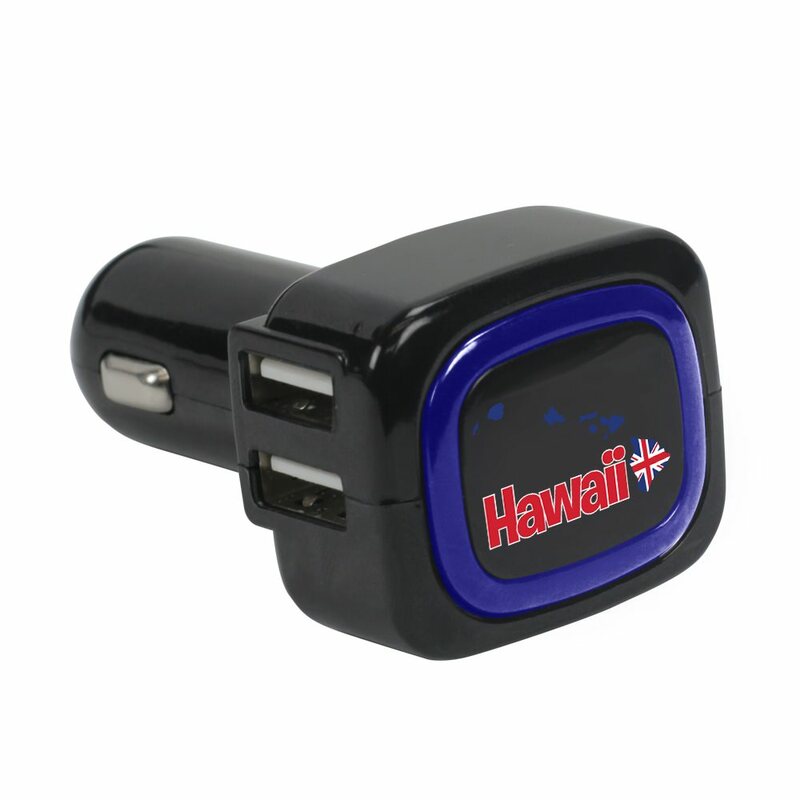 With your qualifying purchase, you may receive this fabulous Black Hawaii Islands light up 4-port car charger! Charge up to four devices at once! Including four USB charging ports (compatible with USB 2.0 devices and above), a light up ring, and full color blue Hawaii icon, there’s nothing to not like about this gift. Keep your devices at 100% with this convenient, handy 4 port car charger.